Kuroki Meisa to make her first post-shotgun appearance in public! Nu’est grabs the wotasphere’s attention! Happiness announce their fourth single! Momoko has a question for God! And more! Kumutaku caught speeding! Twice! AKB48 forms clubs for its members! The hallyu makes its way North! And more! Bloggers respond to the Berryz / T-ara fans controversy! HKT48 chooses Team H members! 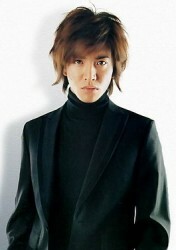 Jin writes a very special love song! And more! AKB48 become spokespeople for suicide prevention! The 2NE1 collaboration with m-flo is out! Horrible rumors about Kuroki Meisa and who the babydaddy is! And more! 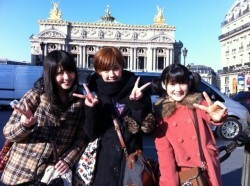 More reports on Buono’s Paris performance! More fallout from Jin and Meisa’s shotgun wedding! Takamina responds to the scandal with her mother! And more! New single and PV from PASSPO☆! New video and single from Tokyo Girls’ Style! SDN48 go out with a Best Of album! And more! The full length PV for the new AKB48 is now out! GO!GO!7188 break up! What are the favorite songs for Valentine’s Day? And much more!